Are you a mental health professional looking to purchase clinical forms, medical records, policy manuals, business associate agreements, HIPAA notice of privacy practices, or other documents vital to your mental health group or private practice? Consider a smart choice in Practice Smart Forms. 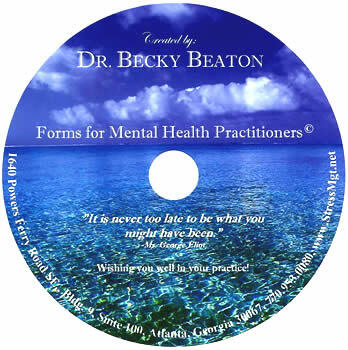 The documents contained in our "Practice Smart Forms for Mental Health Professionals" series are in template form and easily editable so that you may quickly & seamlessly tailor each to include your practice's name, address, and other personalized information. Our Smart Forms' packages vary both in price and type based on the package you select. Need them immediately? Simply click on the image below to learn more about the contents of each available Smart Forms Package and to purchase them online today.